Utah’s popular holiday family tradition continues as Heber Valley Railroad’s annual “North Pole Express” chugs back into service this holiday season. The train ride will take passengers on a journey to see Santa Claus at the North Pole beginning Friday, Nov. 23. Aboard the train, passengers can sing along to classic holiday carols and hear the story of the North Pole Express while Santa’s elves serve hot cocoa and cookies. Upon arrival at the North Pole, Santa Claus will board the train and greet all of the children with a special gift. Children of all ages are encouraged to wear their pajamas. The Heber Valley Historic Railroad dates back to 1899, when trains served the pioneers who first settled the valley, and now operates as a nonprofit organization. 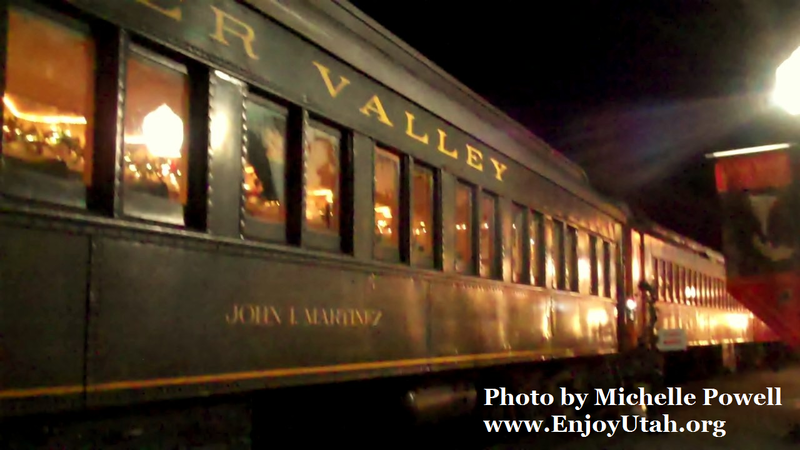 Depending upon availability, vintage coaches are pulled through the beautiful Heber Valley either by one of two 1907 Baldwin steam locomotives or by one of three vintage diesel electric locomotives. For more information on the Heber Valley Railroad, visit www.HeberValleyRailroad.org.